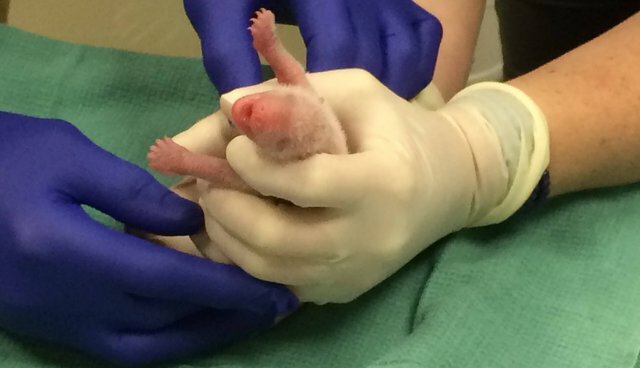 Mei Xiang, the giant panda living at the Smithsonian's National Zoo, gave birth to twins Saturday evening. Both babies appear to be healthy and are "vocalizing well." 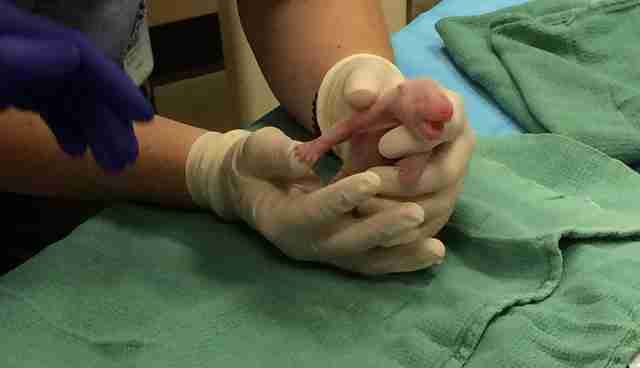 This is only the third time a giant panda living in the United States has given birth to twins, according to the Smithsonian's press release. Because of habitat destruction, pandas are an endangered species, with only about 1,000-2,000 left in the wild, which leads to desperate efforts to keep them alive and reproducing in captivity. Mei Xiang was artificially inseminated in April; her ultrasound showed the first glimpses of the babies who conservationists hoped would be born without complications. Panda (CCRCGP), who have also recently made their public debut. 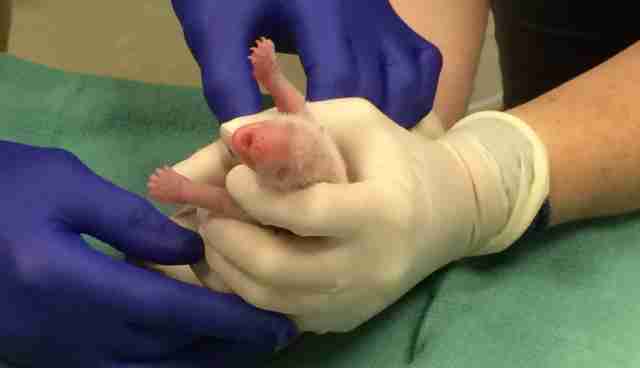 UPDATE: The National Zoo announced Wednesday afternoon that one of the panda twins died. "We are sad to announce that the smaller of the two panda cubs has died," the zoo wrote on Instagram. "The panda team continues to monitor Mei Xiang and the larger cub. They are encouraged that this cub appears to be strong and behaving normally."